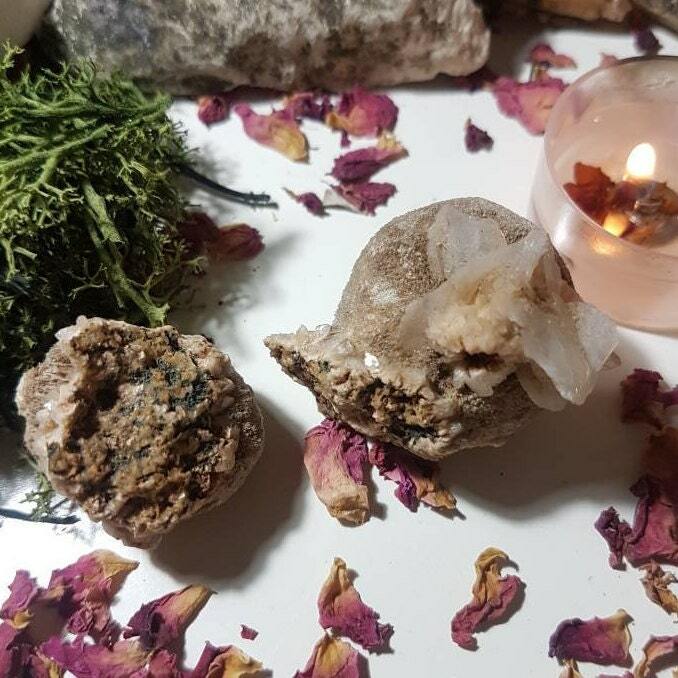 Set of two raw Thompsonite balls from India with Heulandite. 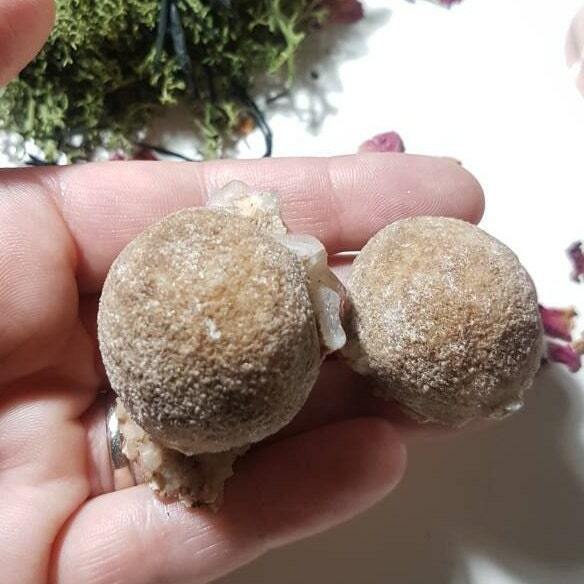 Set of two Thompsonite balls from Nasik, India, with Heulandite. 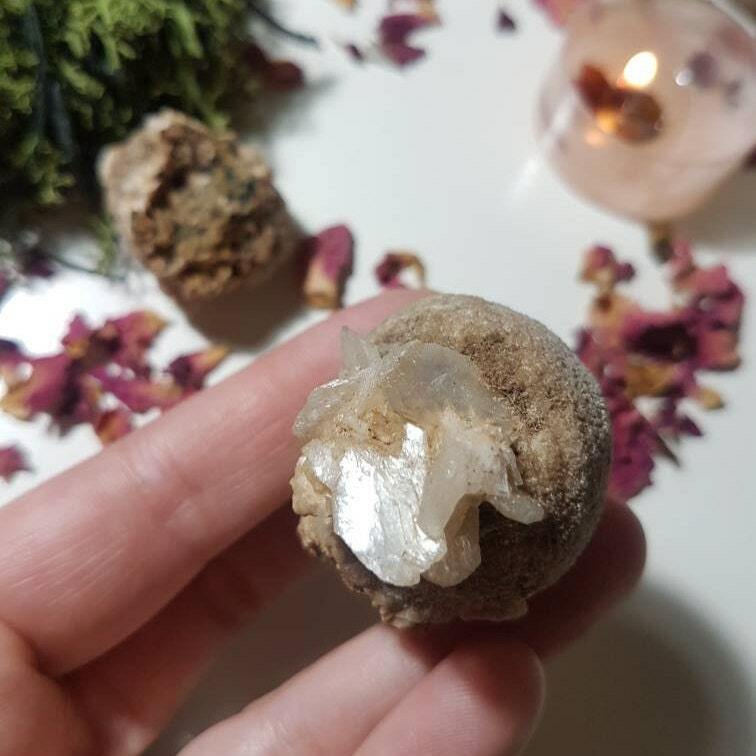 Thomsonite is related to the heart chakra and will protect you from the evil eye and psychic attacks, nightmares and other negative energies. It reflects negative energy back to the sender. 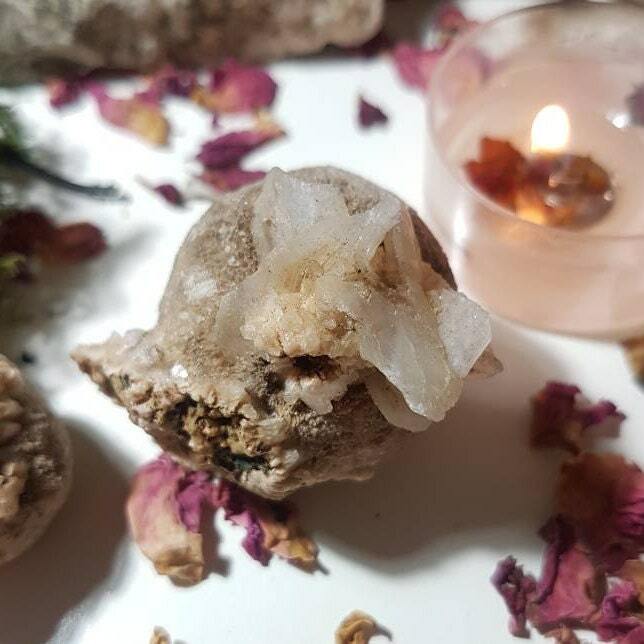 Heulandite helps to calm the mind, facilitating meditative states and opening up to Divine guidance. 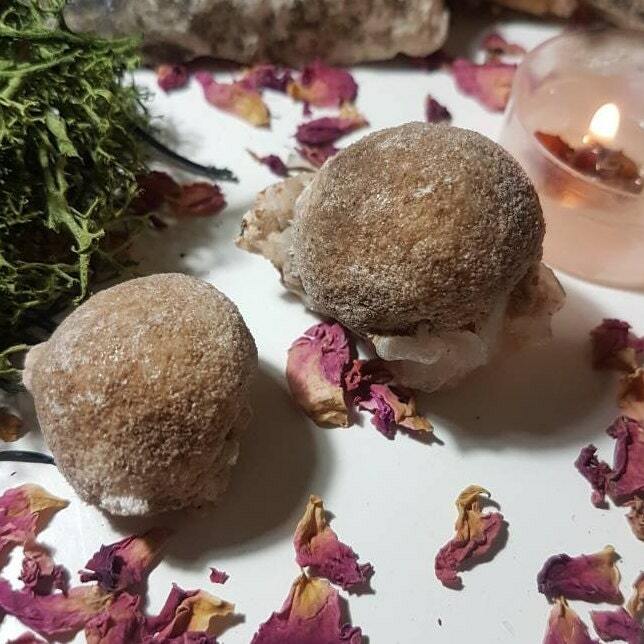 It activates a connection between the head and the heart, helping us to feel uplifted and centred whilst easing the feelings of emotional burdens. Measures approx 5cm x 3.4cm x 3.5cm and 3.2cm x 3cm x 2.4cm.